Have you been let down by other disposal companies? 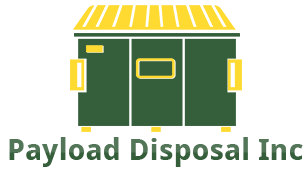 Competitive pricing and personalized services are the hallmarks of Payload Disposal Inc. You can count on our family-owned-and-operated company to provide the containers and dumpsters you need for trash and recycling at your location. Pickup will be scheduled at your convenience. Working efficiently and quickly to haul your garbage away, we provide dependable container service for all residential, commercial, and industrial customers. Whether you need rear-load containers for your store or a roll-off dumpster when you move out, we have your trash hauling needs covered. Plus, we give you our number for emergencies or in case of a schedule change. Now that's waste disposal done right! Save even more on our container hauling services with these amazing special offers. 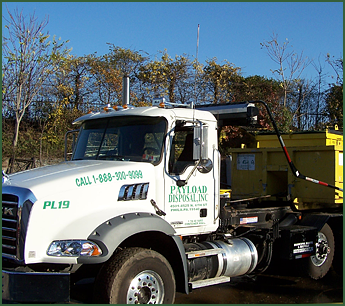 Payload Disposal Inc is a family-owned-and-operated waste disposal business providing container hauling throughout the Philadelphia, Pennsylvania, area. Our founder started the company in 2004, drawing on the more than 45 years of industry knowledge he gained in his family's business. Under his leadership, we offer more personalized service than larger companies can, and always strive to meet your specific needs. The founder has also developed many personal relationships with clients, some dating back from before the company began. As a sign of our dedication to customers, we have even provided our personal phone numbers on the contact page, so you can always reach us. Please contact us by email or at (877) 792-3011 to request a price quote over the phone or in person. Quotes can be given the same day.